Victor & Heather are five-time undefeated U.S. Professional Ballroom Champions, three-time Ohio Star Ball Champions, three-time North American Champions, Asian Pacific Professional Ballroom Champions and five-time U.S. representatives to the World Championships. This DVD is an excellent reference for dancers and teachers of all levels. All figures are shown clearly with demonstrations. 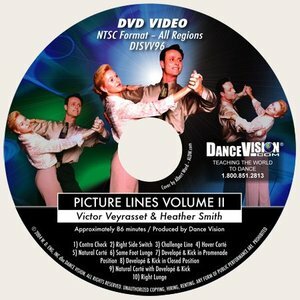 Dance Vision is the leader in instructional dance videos and consistently produces the highest quality DVDs using the best instructors.